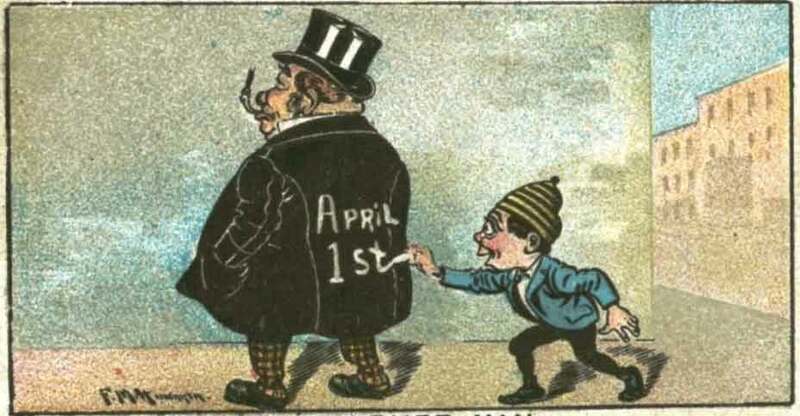 Harmless pranks and fantastical headlines have become a custom on April 1st in many countries. Most are light-hearted and aim to make the victim feel foolish; however the tradition is much older than many people know. The first documented link between April 1st and fools came in Geoffrey Chaucer’s Canterbury Tales written in 1392. He tells the tale of the vain cockerel Chauntecleer who is tricked by a fox on the first day of April but eventually escapes, making a fool out of the mean fox. However, there is still much debate over the true origins of the day, with some people claiming it dates back to the Roman festival of Hilaria marking the spring equinox. Others attribute it to Pope Gregory XIII in 1582 and his introduction of the Gregorian calendar, which moved New Year’s Day from the spring equinox to January 1st. As time passed, those that clung to the old Julian calendar and marked the New Year in April were declared fools and often sent on pointless errands. Whatever the truth is, today its spirit and frivolity have been embraced by not just Europeans but by countries around the world. April Fools’ Day in Brazil is known as Dia das Mentiras, literally, the Day of Lies or Dia dos Bobos, Day of Fools. It is a day for brincadeiras, or pranks. Brincadeiracomes from the verb brincar, to play, so the nature of these pranks is playful. It became popular in Brazil after satirical publication A Mentira wrote its first spoof headline on April 1st, 1828, announcing the death of Don Pedro, Emperor of Brazil. The periodical eventually ran into financial difficulties. Fittingly, in its last issue in 1894, A Mentira published a story for all its creditors telling them where they could go to get the money they were owed. The problem was that this too was a prank and the place did not exist. Falling on April 1st or April 2nd, the 13th day of the Persian New Year is called Sizdah Bedar. Legend has it that tricksters have played pranks on this day since 536 BC, perhaps making it the oldest known day of tomfoolery. Mischievous people spend the afternoon outside, celebrating the new season with food, frivolity, games, and jokes. Traditionally, after a picnic, people throw away green vegetables, which represent bad luck or bad health in the coming year. Perhaps the most literal of all the celebrations is the old Irish tradition of sending someone on a fool’s errand. A prankster will entrust the victim with an “important letter” to be given to a specific person. That person would then ask them to take the letter to someone else, and so on for as long as possible. The letter when finally shown to the victim contained nothing important, simply the words “send the fool further”.